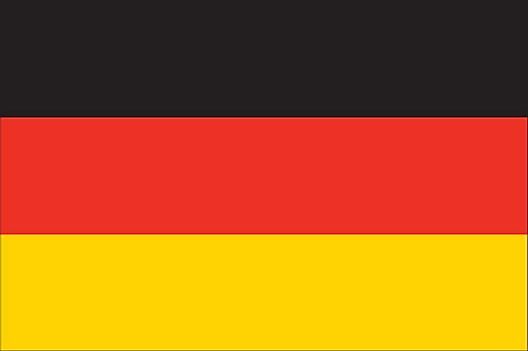 The German flag - the tricolore - was designed in 1832. The black, red and gold were taken from the uniforms of German soldiers during the Napoleonic Wars. 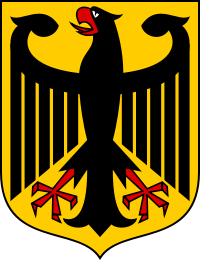 The country's coat of arms (featuring a dominate eagle) is said to have orginated around 1200. Over the centuries many variations have been adopted for military and political reasons, but the eagle has remained as the central theme. The modern seal features the same colors as the German flag. The eagle is also used on the German one Euro and two Euro coins.